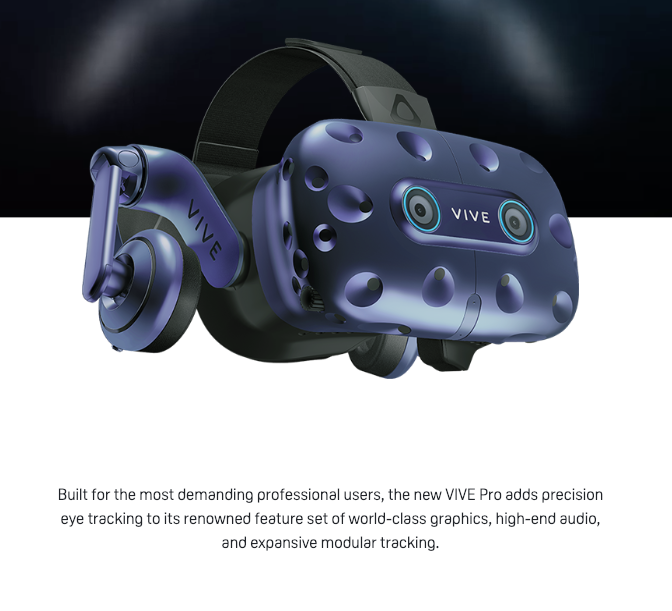 HTC Vive has developed a new high resolution headset with eye tracking especially for LeadTech Clazer ! Thanks ! Enhance the resolution of what you are looking at – which puts the clay in super high definition if you are looking at or near the clay. Show where you were looking when/ if you miss. The Teaching Mode now shows where the gun is pointed when you miss. It does not show where you were looking. Now we can. And guess what, where you were looking and where the gun was pointing and where the ballistic intercept point (Point of Impact at Phantom Clay) may be three different things. Shoot by looking at the target – Who needs a hand controller or a gun ? Just look at the clay or drone and shoot it down with eye tracking. (Can’t make this stuff up fast enough). Not quite sure how we would utilize this, but the point is that you could just point a the clay and actuate the shot by staring at the correct lead. Might be good mental exercise. Or not. Stephen is going to get one of these new rigs and the developer’s firmware, and we are going to optimize Clazer for it. This will be the new Super Pro Clazer. Stay tuned. We anticipated eye tracking and described it in the patent. Aren’t we clever ?